The Witch World is a world of wonder and magic, of the epic struggle between Light and Shadow, good and evil. This ancient land holds both beauty . . . and horror. Magic and technology co-exist and both are used in an ancient war. 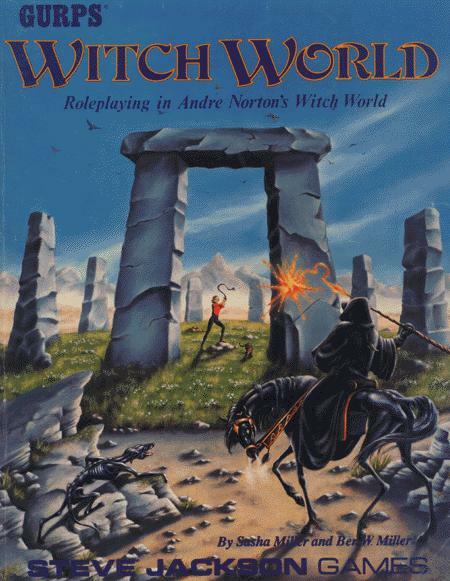 Andre Norton's classic science fiction and fantasy series has delighted readers for years. 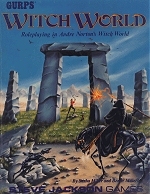 Now this book brings you the places, people, creatures and magic of the Witch World for GURPS, the Generic Universal Roleplaying System. You'll find timelines, history, maps, adventure ideas, character creation, Witch World magic, tools and weapons, a bestiary, herbal lore, characters from the Witch World stories, a glossary and a detailed index. This book is designed for use with the GURPS Basic Set, Third Edition, but can be used as a sourcebook for any other roleplaying system. Although they are not required, GURPS Magic and GURPS Grimoire are valuable additions to the book.